Café-Restaurant Milo (formally the Café-Restaurant Una) is located in one of the original wings of the imperial stables. 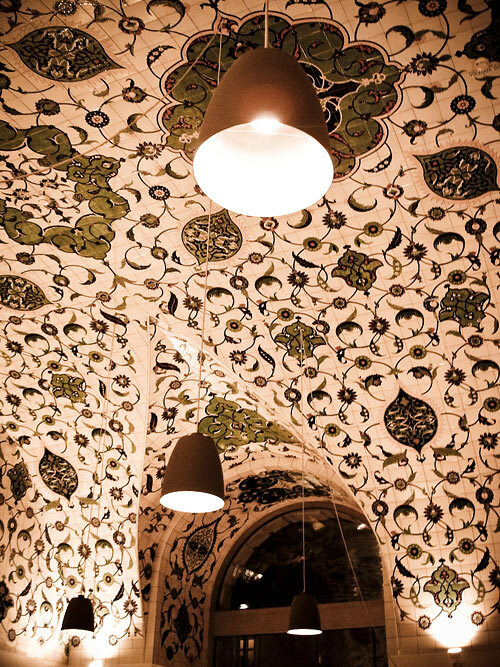 The vaulted ceilings are covered with a beautifull pattern of oriental tiles designed by by Asiye Kolbai-Kafalier (Vienna). The atmosphere is a bit minimalist and cold (It is Austria! ), but it is definitely worth visiting to enjoy the work of architects Anne Lacaton and Jean Philippe Vassal.